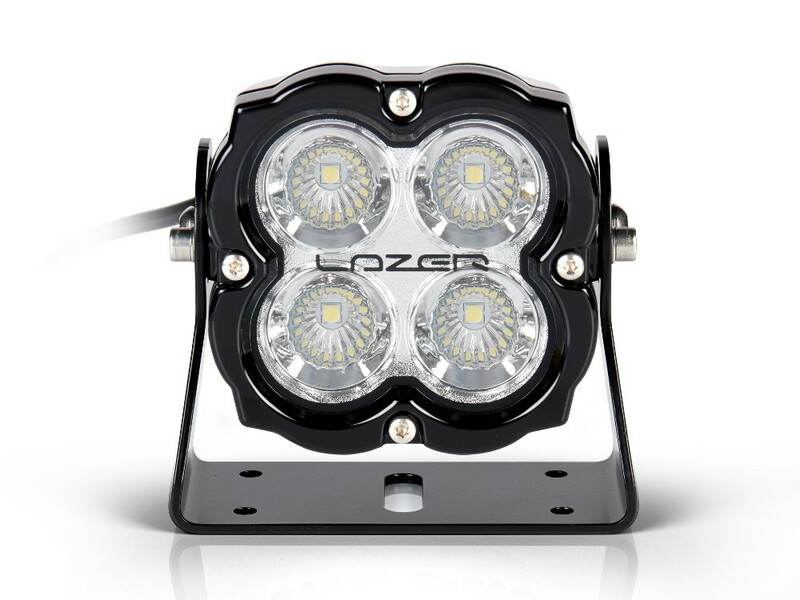 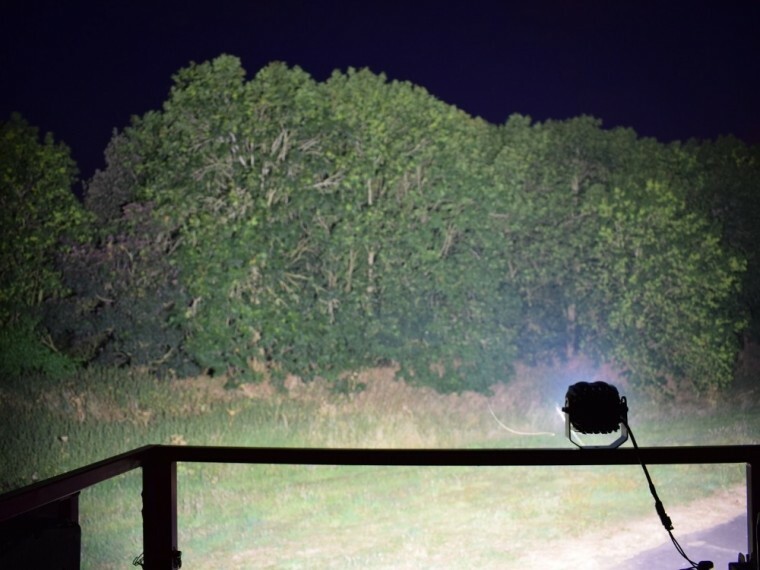 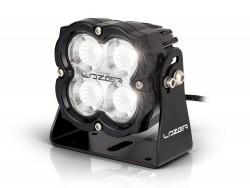 The Utility-80 LED work lamp comprising the same heavy-duty aluminium casing and interchangeable lens options, the same physical characteristics on the outside as the Utility-45 work lamp, but inside upgraded electronics alongside 4x20Watt high density LEDs, deliver incredible lighting performance contradicting the lamps relatively diminutive size. Designed and built in the UK, the Utility-80 like the Utility-45 is a heavy-duty LED work light which combines the latest and most advanced LED systems with patent-pending design features for maximising light output, functionality, and reliability. 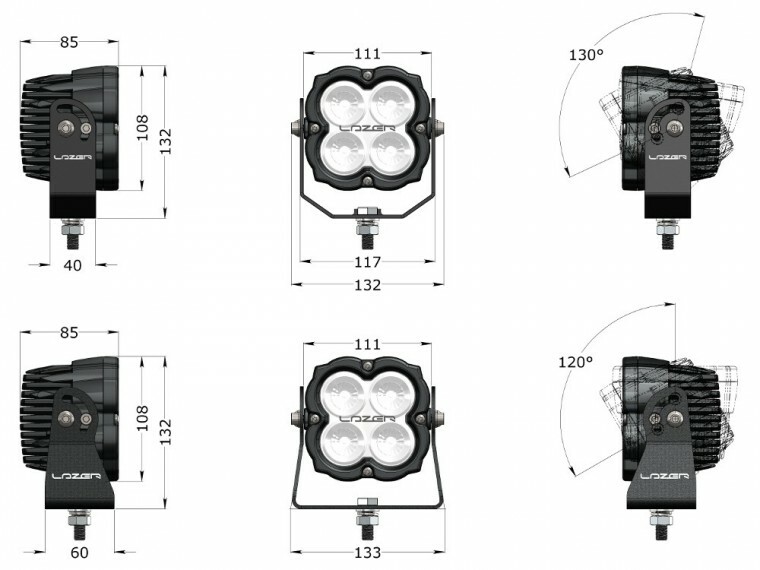 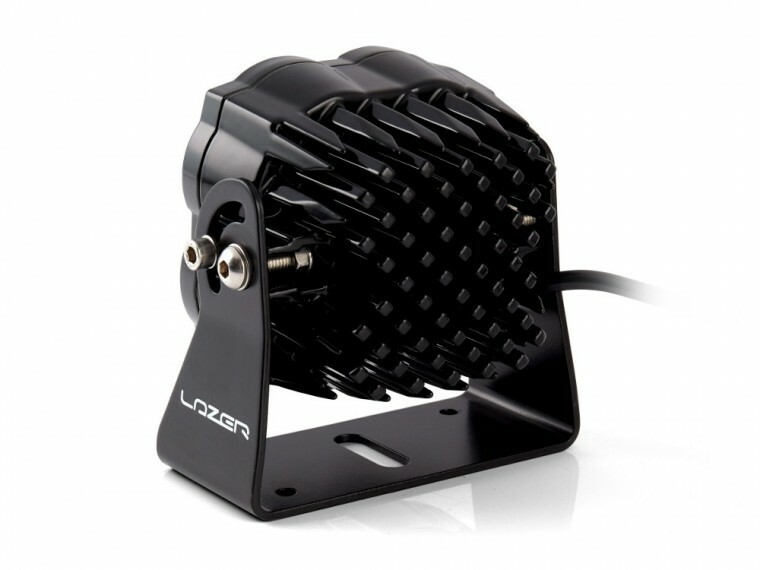 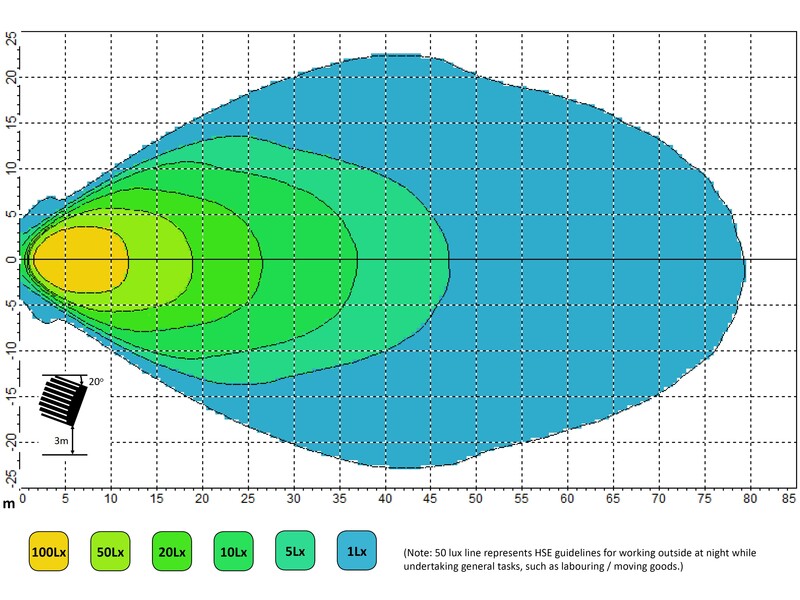 The addition of 4 high density 20W LEDs is only made possible thanks to sophisticated electronic design, combined with the exceptional thermal conductivity properties of the Utility Series’ ‘Matrix’ cooling system - the advanced heatsink construction which more efficiently dissipates heat away from the lamp when compared to conventional work light housings. 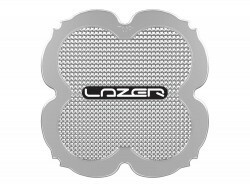 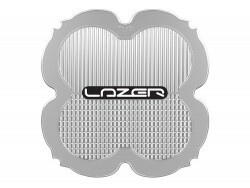 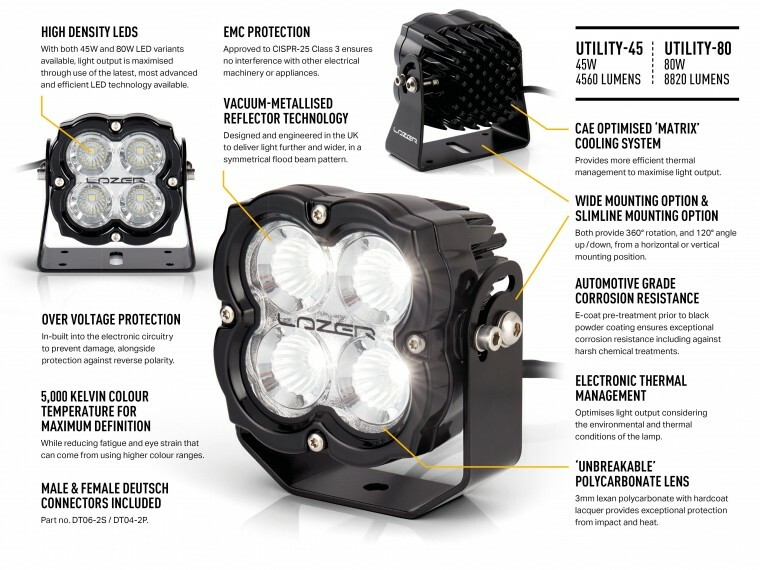 Whatever the working conditions of the lamp, the light output will always be optimised thanks to Lazer’s Electronic Thermal Management system which provides long-term protection to the LEDs.